Congratulations on your engagement. 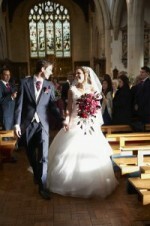 We are delighted that you are thinking of getting married in church. If you live in the Parish or attend one of our three churches regularly, you are entitled to be married after appropriate preparation, as long as there is no legal impediment. Click here to see which church you should approach. 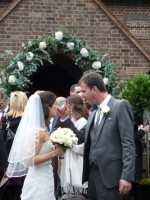 You can also marry in one of our churches if you can show a real connection with the parish. Please see section on the ‘Marriage Measure’ on the Church of England Website for further details. Before a wedding can take place there are various legal formalities to be completed and there must be time for marriage preparation. This will normally involve the Rector or Team Vicar visiting you at your home and then some further preparation sessions to discuss the very important step that you will be taking. For this reason, except in cases of serious illness or other similar emergency, there will need to be a gap of at least three months between first contact and the date of the wedding. Therefore please make sure that you contact the appropriate church in good time to make arrangements. 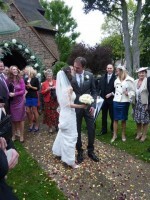 To avoid disappointment, please check that the church is available before booking your reception venue. 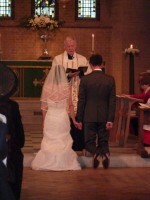 Most marriage in the Church of England are conducted after the reading of Banns. 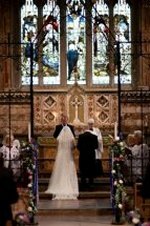 The Weddings Section of the Church of England Website has some useful suggestions for music, hymns and readings to personalise your wedding service. For details of church fees please click here.